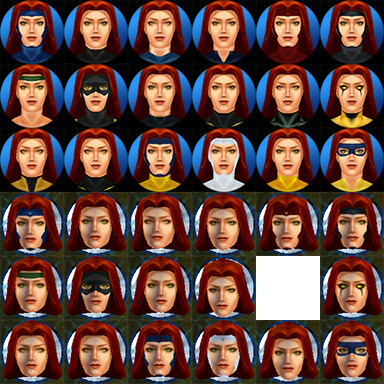 Here you'll find all I have to offer for X-Men Legends II, which includes skins, huds & 3D heads, and possibly mods (in the future, maybe). Magneto's Classic skin on the Ultimate model. 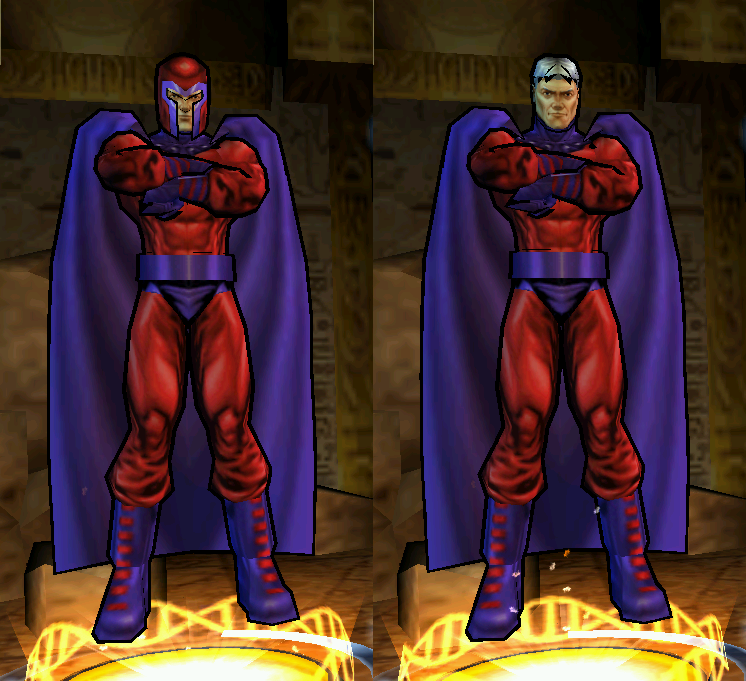 I know there may be no sense in making it since there's already iammingy's version, but his was an original creation after the comics Magneto, and I've always wanted to see Magneto's MUA-DLC Classic skin on the Ultimate model, so I figured I should make it. Oh! I love the textures! Thanks fellas , and more are on the way! 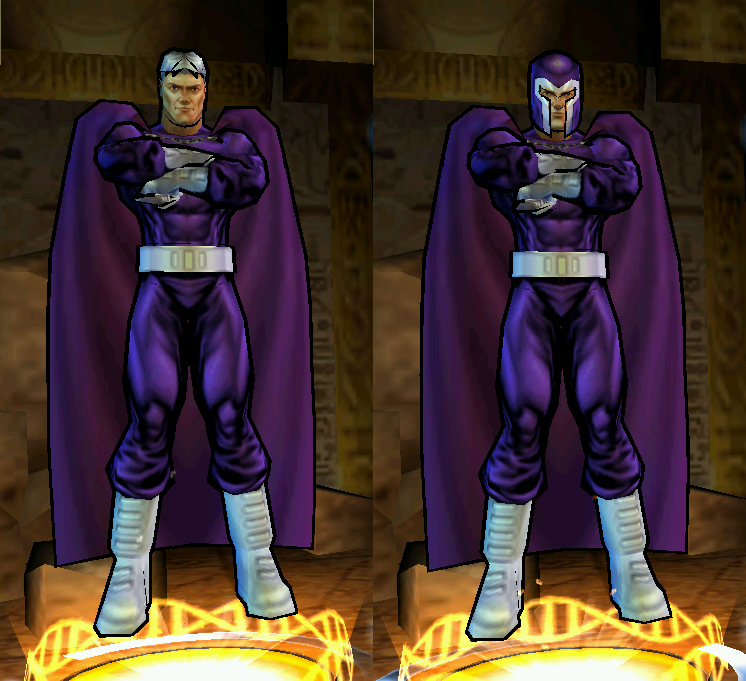 A remake of my previous Magneto Xorn skin (which is an abomination when compared to this one). 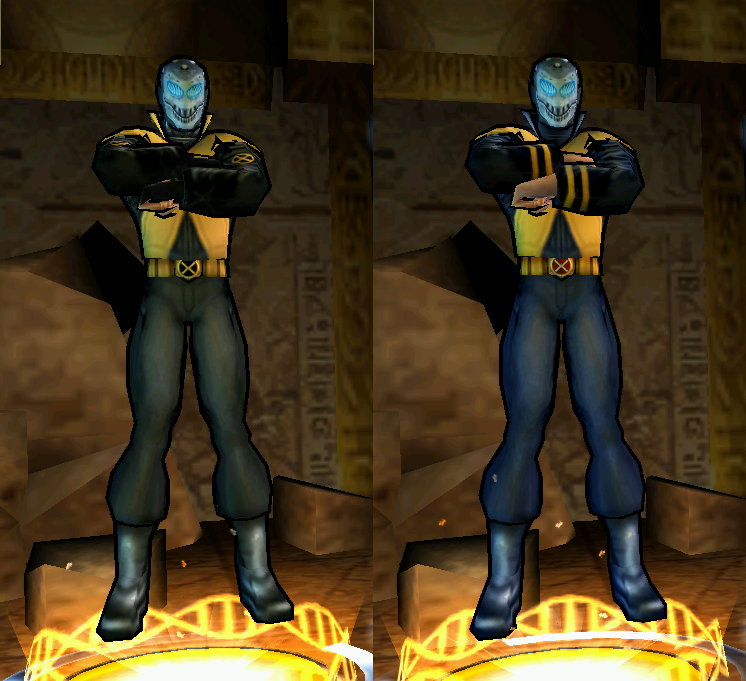 Not much to say about it, other than that I made a variant based on Professor X's New X-Men skin, in which I only changed the head texture. Magneto's 80's skin on the Ultimate model. 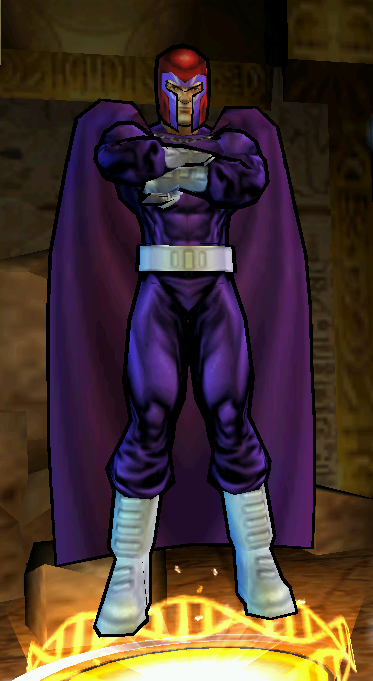 I know there may be no sense in making it since there's already iammingy's version, but his was an original creation after the comics Magneto, and I've always wanted to see Magneto's MUA-DLC 80's skin on the Ultimate model, so I figured I should make it. A shame he doesn't have the collar, I thought about using Doctor Strange's model as base since he has it, but it's just not worth it since he has a skirt and part of his belt is hanging (I may give it a chance in the future, though); speaking of Doctor Strange, perhaps someone could convert his collar into a bolton? Excellent as always, but isn't his helmet red with that 80's outfit? isn't his helmet red with that 80's outfit? Now that's a question that messed/is messing with my head. In the comics he never wore the helmet during his time as headmaster of the Xavier School as far as I know; however, in the LEGO set that includes his headmaster version he comes with an optional helmet, the same one from his classic version; however, in iammingy's helmeted (gosh, does that word even exist, lol) 80's skin he wears a helmet with colors that match the rest of his costume, and that's the one I based my helmeted (grrr) skin on. Conclusion: I'll release a red helmet variant, not only for the sake of completion, but mainly because this whole helmet question left me extremely curious to see how he will look with the red helmet! One thing I've learned about skinning: if you find yourself asking "Why not? ", you may as well go for it. 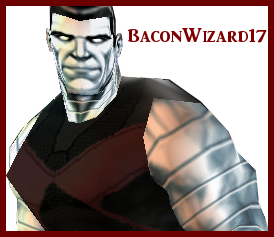 Just a variant I decided to make after BaconWizard17 asked if Mags' helmet wasn't red with the 80's costume, to which I quickly remembered of the LEGO 80's Magneto that also happened to sport a red helmet, it left me wondering how it would look on my skin, so I had no choice other than to do it! I dig it. Great work!